Inspiring donors with iconic stories of immigration. Telling the stories of the families who lived at 97 Orchard Street in New York’s iconic Lower East Side, the Tenement Museum helps demonstrate immigration’s role in shaping America’s identity. 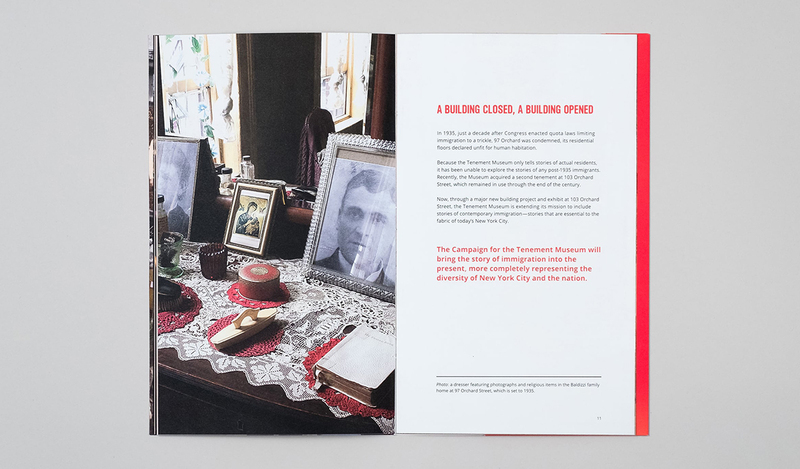 In 2014, the Museum embarked on a $20 million capital campaign and asked Suka to develop a case statement aimed at high-level institutional and individual donors. Philanthropy would afford the Museum multiple benefits. The first was to enhance preservation efforts at 97 Orchard Street. 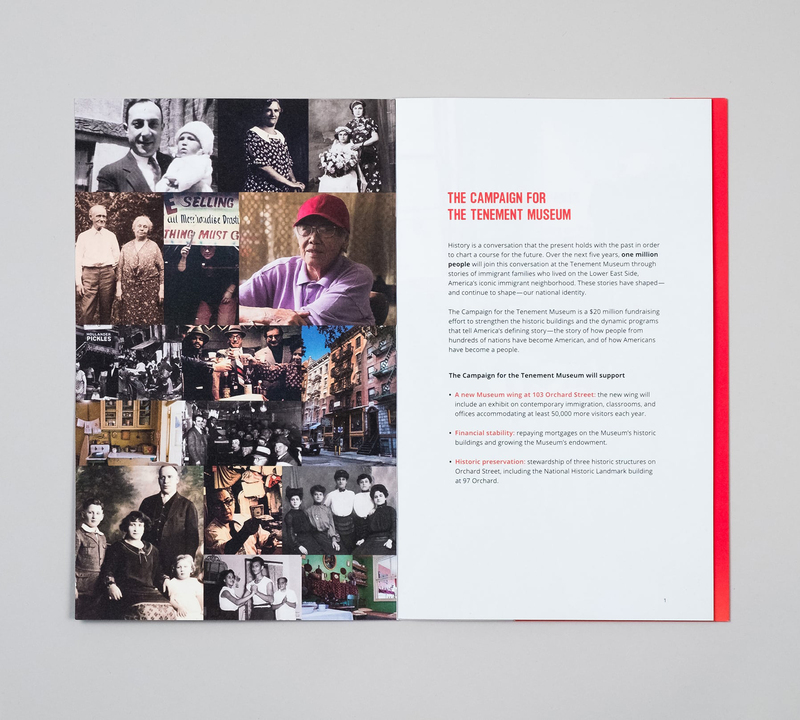 The second was to allow the Museum to expand its footprint and tell contemporary stories of the immigrant families who lived at 103 Orchard Street post-World War II, including Holocaust survivors, Puerto Rican migrants, and immigrants from China. To compel donors to give, we delivered an experience that was personal, emotional, and relevant. 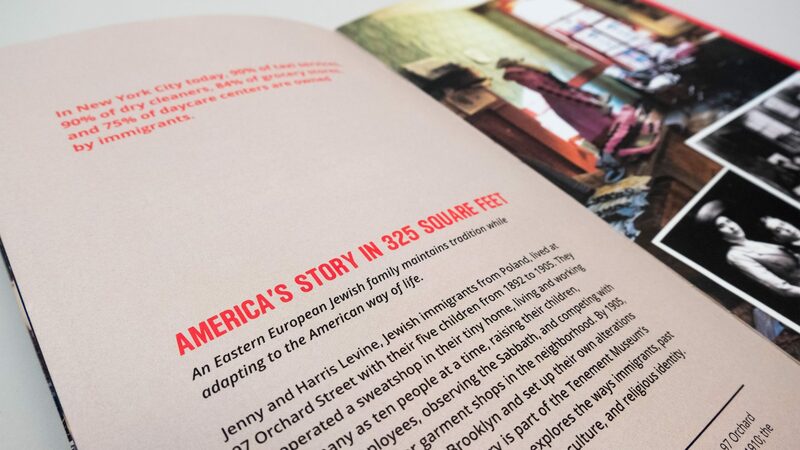 Leveraging a design approach focused on the humanity of American immigration, we used the Museum’s archival photos of the residents of 97 and 103 Orchard to tell a visually arresting narrative. 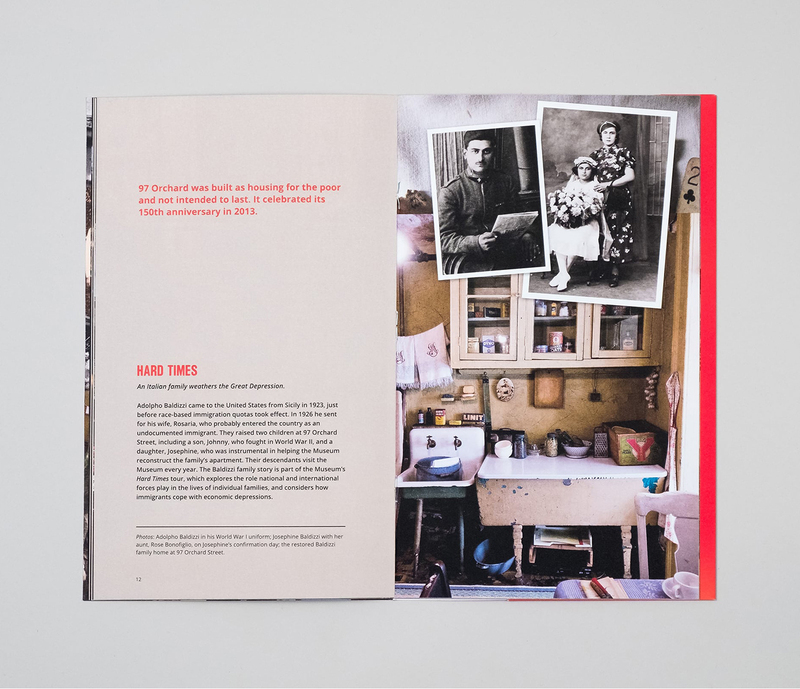 Paging through the case statement felt much like exploring a family photo album, captivating readers with authentic life moments: the Epstein’s family seder, Rosaria Baldizzi’s adorned dresser, or Theresa Lau’s wedding day. Powerful and engaging, the images were paired with story vignettes to give donors a view of how the Museum illuminates the extraordinary lives of immigrants who came to our shores to pursue the American dream and create a future for their families — and for America as a nation. 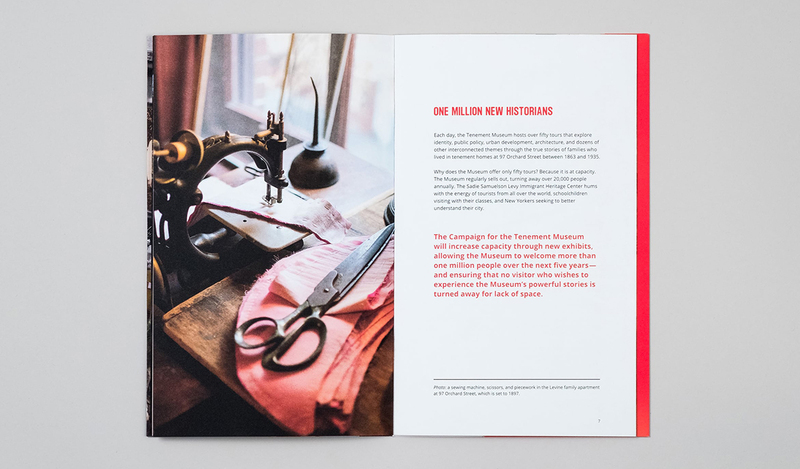 The case statement moved and inspired donors — so much so that the Tenement Museum met its fundraising goal and expanded its exhibit space into 103 Orchard Street. The new exhibit at 103 Orchard, called Under One Roof, officially opened to the public in 2017.